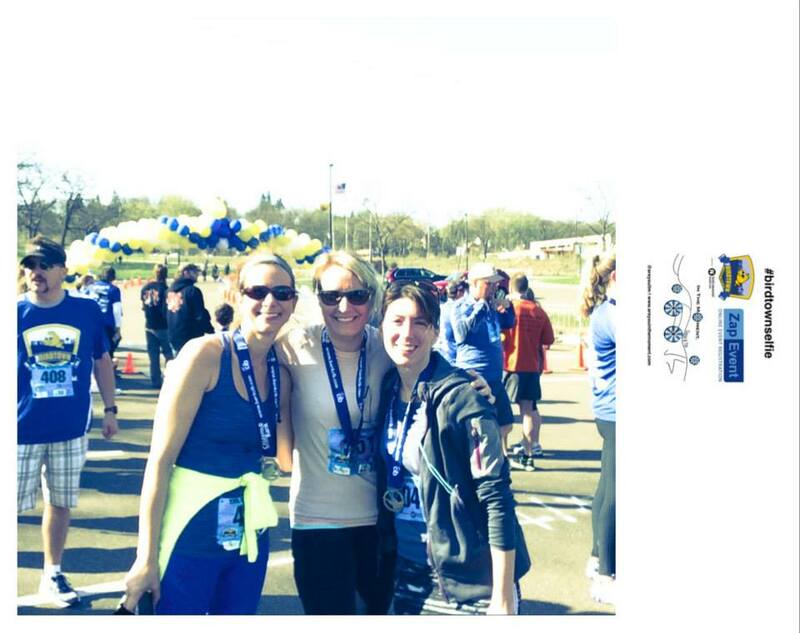 Last weekend I ran a race in Robbinsdale, Minnesota. Considered a first-ring suburb of Minneapolis, I had never really spent any time there (I grew up in another first-ring suburb. Hey Roseville!) so it was at the invitation of a co-worker that a few of us signed up for the Birdtown 8K. It turned into quite the eye-opener for me. Not only did the mayor run the race–in a kilt, which he promised to do if a certain number of runners signed up–but everywhere you turned you heard the excited greetings of friends and neighbors bumping into each other. It seems like everyone knew everyone else and there was a real feeling of community support that, unlike other, bigger suburbs, wasn’t united solely by kids’ sports. The race was fun, the day was beautiful, (And the co-worker-hosted after-party? Stellar. Apparently the carrot I’m willing to run for is the promise of pastries and a Bloody Mary bar.) and I got to explore a bit of Robbinsdale. The race toured around two lakes and their parks as well as main street. That’s the kicker. Robbinsdale has a wonderful, small-town feel main street. Something my hometown sorely lacked. Because the town was established in its own right before the post-WWII sprawl and housing boom, it maintains the character of the past. And the community has clearly embraced it. Anchored by some very popular, very progressive restaurants like Travail and Pig Ate My Pizza, it seems that Robbinsdale could be the new sleeper destination for hipsters ready to put down roots and have families. I love to race in small places. It is great when it is all about running for the day!